The Art Gallery opens a new city art exhibition. Residents and guests of the city will be able to acquaint themselves with the works of artists – representatives of the older generation of the city. According to the longstanding tradition, art exhibitions unite the masters of professional and amateur art. The variety of styles and genres presented at the exhibition vividly demonstrates a slice of the current state of the artistic environment of our city. The exhibition includes paintings, graphics, sculpture, decorative and applied arts, artistic photography. Many artists, whose works are represented in the exposition, were engaged in pedagogical activity, therefore, the exhibition is also an artistic order for young authors and an indicator of age beyond creativity. The city art exhibition is very many-sided and will attract even the most demanding viewer. Many works will be presented for the first time. The exhibition presents both paintings and graphics. The fans of ceramics will surely like sculptures. City exhibitions are usually held at various venues: in the House of Culture, in the cinema, in the Drama Theater, in the children’s art school, in libraries, in the museum. 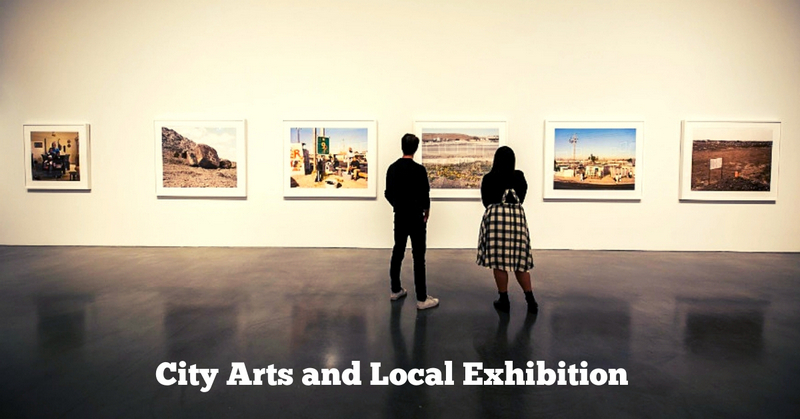 The creative community of city artists makes a great contribution to the cultural life of the city through their activities; they represent the city at state, country, and international exhibitions.